The Horse Wisdom Library is an invaluable resource to anyone who seeks to better understand the power of Horse and the difference that connection can make in our lives from the comfort of their own home. The wisdom and knowledge given to us by Horse can open limitless possibilities in life. Horses share their light with us to help us realize our true potential by not only teaching us to be more authentic beings, but also helping to guide us in the healing of our hearts and souls. 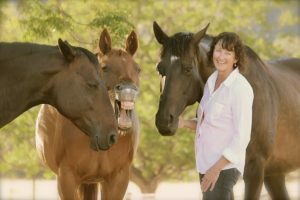 Over the last few years, I’ve built the Horse Wisdom Library for people just like you, those who are seeking a deeper connection to their authenticity and tools for the equine business. Whether you have studied with other teachers in the past or are completely new to the world of Horse, the Library will provide you with a solid grounding of the Equine Facilitated Learning work, body centered concepts and how horses can change lives. From ways to better connect with a herd to expert marketing advice, everything I teach, and the wisdom of other wonderful teachers, is available in audio, video, or PDF form. When an emerging field picks up momentum and begins to grow rapidly, there is an abundance of information available in books, online, and from many people around us. It can be challenging, even overwhelming, to sort through all the advice, understand the inherent differences between various methods and teachers, and allow your personal path to be illuminated under the enormous canopy of information. The Horse Wisdom Library will offer a broad scope of information to help you sort through this information and understand the many facets of this work. How emotions and energy play a role in understanding horse and our relationship with horse. The top five thing that may be stopping you from achieving success. The core philosophies of the Mind Body Method and to see how it can enhance your life and work with self, others and horse. How to create a deep presence that lays a foundation of safety for you, your clients and horses. How to feel that inherent pull toward the heart of Horse, and gain clarity about what your next step should be. Know what business and marketing steps you should be sure to follow when creating a successful EFL business. See Kathy Pike in action and hear her discuss her philosophies and ways of “being” to enhance your development and before entering into a program. Deepen your understanding of herd care and selection and care of EFLC horses? Benefit from tips on creating healthy boundaries before, during and after your client sessions? Access interviews with experts on trauma, healing modalities and spirituality for human and horse. To help you find answers to all these questions, and many more, I have created for you the Horse Wisdom Library. 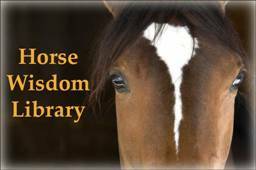 I am excited to have just completed a reorganization of the members only Horse Wisdom Library with new, easy to use navigation, audio recordings, worksheets, videos, interviews, resource links and some brand new recordings that I recently added. Over 50 hours of resources and educational information. All for only $197 per year! If you prefer to pay monthly, we also offer a one-year subscription with monthly payments for only $17 per month. What might be possible for you when you gain access to this valuable information? My wish is that you find the Horse Wisdom Library to be an invaluable tool in your quest to find and live your passion and purpose. The Library will continue to grow and change as I make new discoveries on my own journey. I hope you will enjoy delving into this, the combined knowledge of many years of experience working with horses and connecting with nature. And remember your feedback is always important to me. When you, as a member of the Library, make a request for information I will seek to find resources! Yes! I want to Connect to the Wisdom of Horse! We invite you to explore the rich information we offer and hope that as you immerse yourself in the Way of the Horse, you will experience all the inspiration, purpose and passion that makes this journey with Horse so magnificent. We esteem the Horse as a glorious being offering significant contributions to the human heart and spirit.